I'm sure you have noticed, but I spend A LOT of time on the computer. Between a full-time job, constant emails coming in, and working on this blog, I'm on the computer probably half of my life. 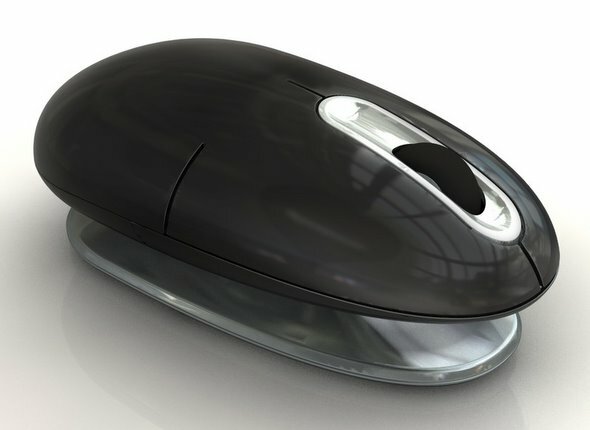 This mouse is different from any others on the market because it features a patented pivot motion design. 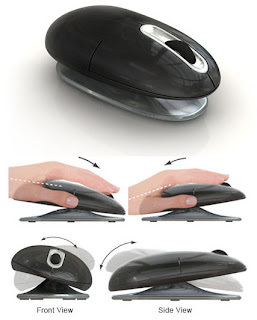 This allows the mouse to move with your natural hand and wrist positions, adapting to your unique movements while you work to help promote blood flow. It was designed along side with The Hospital for Special Surgery (HSS), located in New York City, which is one of the leading orthopedics hospitals in the country, a portion of our proceeds are donated to the HSS Rehabilitation Education Fund. I took this mouse to work since I'm technically on that computer more than at home (although that could be disputed). I love that the USB connector is small and doesn't run the risk of getting run into by items on my desk (or if I was home, my kids!) I also love that it moves WITH my hands and wrist and I don't have to do so much work. It reduces the strain on my wrist and that's GREAT! I've definitely noticed the difference since I've been using this mouse versus my regular mouse! I've even gotten comments from my coworkers on this mouse. I told them to go buy one! Of course I told them where! One of my lucky readers will win one of these mice for themselves, or to give as a gift! For my normal extra entries, please view my Giveaway Rules, updated 5/12/10. This giveaway is open to US and Canadian residents ages 18 and older. This giveaway will end on November 30th at midnight EST. Winner will be contacted via email, so please be sure to leave your email address in your comment. Disclaimer: This post was written for Family Review Network & ErgoMotion Laser Mouse who provided the complimentary product for review & giveaway in exchange for my honest opinions. I like that it reduces the risks of Repetitive Stress Injury (RSI). Thanks for the review and giveaway! I love that this mouse "conforms to your unique positions, alleviating discomfort and encouraging productivity while you work." I like that it adapts to your natural hand and wrist movements! I love that it is garanteed to be more comfortable and makes it feel like its floating on air. I spend a lot of time online and my wirst gets sore. I love that it naturally finds the most comfortable position of your hand and wrist. It's completely customized to your movements! I like that it connects wirelessly. I have your button on my blog- http://psmomreviews.blogspot.com.